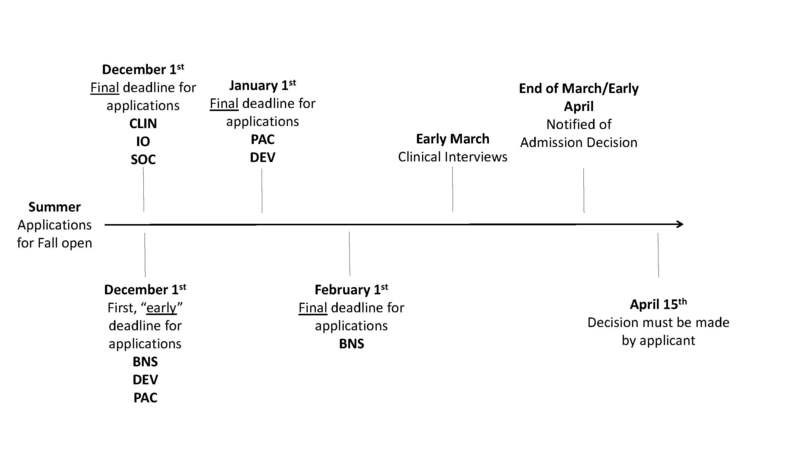 Below is a timeline for the Psychological Sciences PhD Program application process. This is an approximate guideline for when you can expect to hear back from the department and/or preferred faculty advisors. The specific dates for clinical interviews are decided each year and are are only notified to those applicants who are chosen for an interview. There are no specific dates for when an applicant is notified of an admission decision, however, the department tries to notify all potential students by April 1st. If an applicant is offered admission to the University they must then make their decision by April 15th to whether or not they are attending UConn.